MoneySense Magazine released their 2015 rankings for Canada's Best Places to Live and Burlington once again is tops in the mid-sized city category. 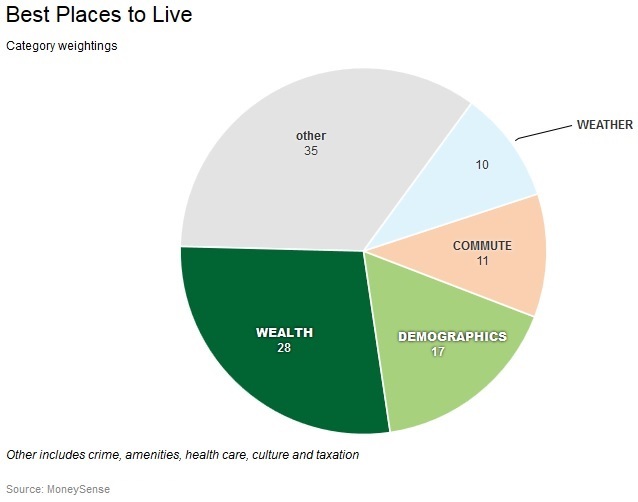 Best Places to Live 2015 measured 209 cities in 20 categories, which included unemployment, income, affordable housing, access to health care, taxes, crime and more. Overall, Burlington ranked third while Oakville placed sixth. Milton dropped to 57th after being ranked 44th in 2014. The rankings define a small a small city as a population below 100,000, a mid-sized city between 100,000 and 400,000 and a large city with a minimum population of 400,000.